We’ve all heard and used (probably over-used) the cliché “it’s a relationship business.” But every cliché has at least a grain of truth to it, and when it comes to the fraternal business model, relationships are what drive both the financial services and community services components of our organizations. It’s the affinity between a society and its members, and the connection between the members and their communities that sets us apart from other financial services providers. Relationships can also help us in the public policy arena, as was so vividly demonstrated by yesterday’s meeting in Austin, Texas, between more than a dozen fraternal executives and the newly appointed Insurance Commissioner, Julie Rathgeber. In the one-hour meeting, executives from both Texas-domiciled societies (Catholic Life Insurance, KJZT, Sons of Hermann, SPJST) and other societies with a significant presence in the state (Thrivent, Knights of Columbus, Modern Woodmen of America, Woodmen of the World/Omaha and Western Fraternal Life Association) made the most of the opportunity to share excellent information on who we are, what we do, and why we’re different from commercial insurers. Equally important, we were able to discuss our two most significant regulatory issues – solvency/sustainability and unclaimed property benefits – with Commissioner Rathgeber and her two key lieutenants, Deputy Commissioner Danny Saenz and Associate Commissioner Ignatius Wheeler. The regulators were clearly impressed that we took the initiative to schedule the meeting. And as a result of the brief individual presentations from each society, they have a much better understanding of both the financial and fraternal aspects of our respective organizations. 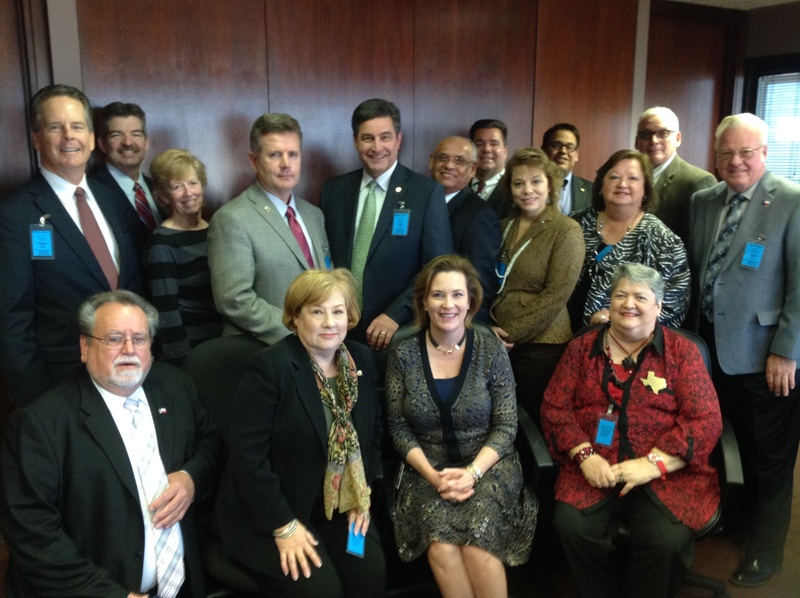 I can’t say enough about the quality of the member society executives that participated in the meeting. They all did an outstanding job of demonstrating the value and viability of our sector of the financial services industry to Commissioner Rathgeber and her staff. It is relationships like these that will help the Alliance and its individual member societies work with regulators to develop realistic solutions to often complex issues – issues that impact consumers, fraternals, and regulators in Texas and across the country. Hats off to the fraternalists that made the effort to travel to Austin to help tell our story. If you are interested in scheduling a similar meeting with regulators in your state, please let me know. Thanks, Joe, for making the meeting happen. Our meeting with the Commissioner, coupled with the Deputy Commissioner speaking at the October Fraternal Alliance of Texas meeting are definitely high points for the year. Hope you made it home safe. We’re still wearing our shorts and flip flops. Way to go my fraternal friends in Texas. Let’s hope we can replicate this type of event in other states!